iClone is real-time filmmaking software enabling users to have complete control over actor creation and customization, scene building and facial animation. 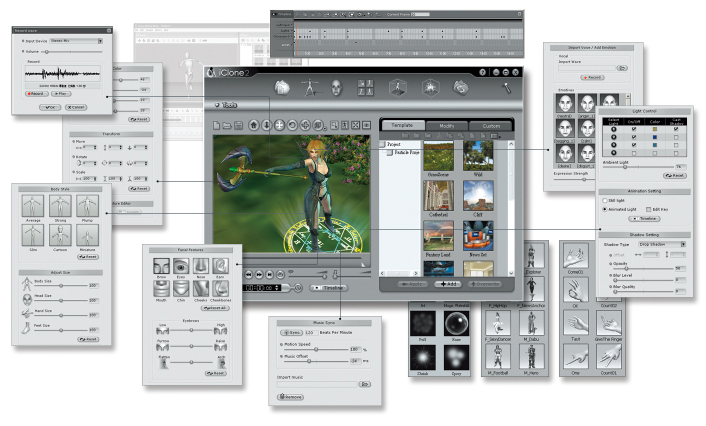 iClone makes advanced animation tools accessible to users of all skill levels providing a platform for directing films in real-time. Flexible content options and revolutionary 3D texturing and animation tools empower iClone users to discover, direct, and debut films enhanced with the power of Reallusion technology.